Learn the basics of compost ecology in this up close and personal expose on the FBI! We’ll investigate the inner working of your backyard compost heap to see how fungi, bacteria, and invertebrates (the FBI) work together to produce healthy soil. 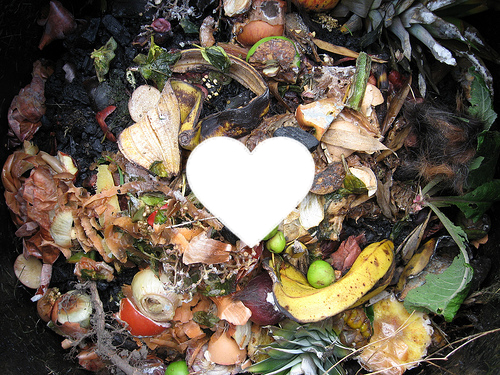 You’ll walk away with a new appreciation for decay and a better understanding of how to promote the healthiest and happiest compost communities in town. This workshop will be taught by Matthew Kemshaw, the Urban Agriculture Coordinator for LifeCycles. Matthew is an an environmental education student as well as an urban ag superstar and feels particularly passionate about creating giant compost piles. Click here to sign up for the workshop on our Eventbrite page. Donations will be accepted the day of the workshop, but please make sure you reserve your space, as we can only cram so many folks into the straw bale building. Last Wednesday, we had an amazing soil workshop led by the lovely Jill Dalton. She works with LifeCycles, has worked on organic farms and went to UBC for agriculture, so she had plenty of knowledge to share with us. Now is the perfect time to learn about soil because it is time to prepare for the coming seasons. There are leaves everywhere to collect! I have to apologize for not bringing a camera to the workshop. I did find some helpful images to help explain the information on the internet though. I also want to share the credit for this summary with Life Cycles, because I used some of the notes that Jill gave us to write this post. Sand: fairly large particles that keep the soil open for air and water to pass through; they get warmer and drier earlier in the spring than other soil types. Silt: medium sized particles, in between the characteristics of sand and clay. Clay: very fine particles that hold water and provide a rich store of nutrients. Knowing your soil type is important because it determines drainage and the ability to take up nutrients. If you think about it, the more surface area, the more nutrients and water it can hold. With so many smaller particles, clay has a larger gross surface area. Sand on the other hand, doesn’t hold much water or nutrients and often results in desert like conditions. 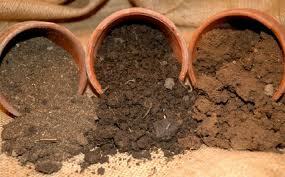 Soil type is also important in choosing which plants to grow, as some plants grow better in certain soils than others. Dream soil is made up of all three types of soil mixed with a fourth component: organic matter! Ideally, organic matter should not make up more than 10% of soil. Although compost feeds the good micro-organisms that help plants to grow, it also feeds the bad ones that can cause disease. Preparing for the next growing season is important because it replenishes the nutrients and re-establishes soil structure. One way to do this is through planting cover crops. Bare soil gets compacted and loses nutrients from rain, plus cover crops add organic matter and nutrients when done right. Some of the many fantastic cover crops include clover (a natural mulch and nitrogen fixer) and rye (you can use the stalks as a cheaper alternative to straw). If you already have a crop, mulching the soil helps to keep moisture in and acts as a cover to avoid compaction and nutrient wash-out. However, there are potential problems to mulching. It can become too wet and the decaying matter can become a breeding ground for slugs and other pests. Weeds can also be imported with mulching materials, especially in straw or grass clippings. If you do not have good soil to work with, you can create it through lasagna gardening (otherwise known as sheet mulching). It is good not to dig into your soil unless you need to; disturbing the soil causes compaction and nutrient loss when it gets wet. It is called lasagna gardening because it is made up of many layers. The bottom layer, or your existing surface, is covered in cardboard. Make sure that you overlap the pieces of carboard to ensure that the weeds cannot get through. For the next four layers, alternate between a straw/leaves and compost/manure. 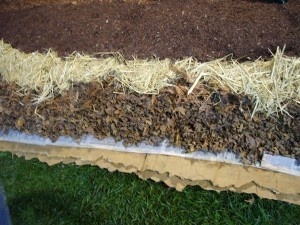 The greens (nitrogen from your compost) and browns (carbon from the leaves, straw and cardboard) will mix together over time to create a nutrient rich, fluffy soil that is ideal for growing plants. The cardboard takes longer to decompose, keeping the weeds out during the competitive stage of plant growth. N- Nitrogen facilitates plant growth, especially in the leaves. If there is a nitrogen deficiency, some signs might include stunted growth or yellowing leaves. To fix this, you can add manure, alfalfa pellets or blood meal. P- Phosphorus helps with plant maturation. If leaves seem more reddish-purple than normal, you can add rock phosphate or bone meal to re-establish the right level of nutrients. K- Potassium is in charge of cell division, the processing of sugars and root development. Potassium deficiency is difficult to identify, but bronze or brown spots can be a good hint. Add Sulphate of potash or Sulpo-mag to help make the soil healthy again. The last thing Jill told us about was pH. Unless there is a mystery reason why your garden is dying, it is not necessary to know much about pH. 6.2 to 6.8 is the optimal level for most plants, soil microbial life and bacteria that work with legumes to fix nitrogen, but it is nearly impossible to identify the pH of your garden without a soil test. We’ll start our day with a tour of Eco-Sense. If you’re not familiar with this rad house, it’s North America’s first code-approved seismically engineered load bearing insulated cob house. It features solar PV with grid tie, an option for future wind turbines, solar thermal hydronic heating, passive solar design, LED lighting, earthen floors, natural plasters, grey water re-use, composting (NO FLUSH) toilets, rainwater harvesting, and a living roof. The home is zero waste and net zero energy. Besides all the amazing environmental features, it’s a beautifully designed and built space, and a really inspiring house to tour. After the Eco-Sense tour we’ll have a picnic lunch. To keep costs down, please pack a lunch for yourself, but we will supply lots of snacks to share. After lunch, we’ll head to Haliburton Farm for the afternoon. Haliburton is a publicly-owned farm; they currently house 5 farm businesses, offer workshops for farmers, gardeners and and consumers, give tours to school and community groups, and have regular CSA/box programs. They offer a really cool model of how to organize a farm to include and educate the surrounding community. Plus, the farm itself is beautiful and includes restored wetland, resident salamanders, nesting birds and other exciting natural residents. We’ve rented a van from the carshare for transportation, and the first five folks registered can catch a ride with us. Other than the van, I can help facilitate vehicle sharing, so please let me know if you need a ride or have space in your vehicle to offer. Please email slugs.coordinator@gmail.com to register. If you’re under 18, let me know, as I’ll wrangle you a guaranteed seat in the van and will need to get you to have your parents sign a form. A productive garden starts with healthy soil. Learn how to build your soil naturally (and cheaply!) to increase your food yields as well as the nutrition of the veggies you’re growing. Topics covered will include: an overview of organic soil building strategies, physical analysis (soil types and structures), organic matter, composting basics, soil nutrients and pH, sheet mulching (aka lasagna gardening) and green manures. The wonderful Jill Dalton of Lifecycles will be teaching, and if you’ve ever had the pleasure of learning from her, you’ll know that her workshops are packed with information but also extremely fun and encouraging/empowering. Don’t miss this event! Don’t call St John’s Ambulance when St John’s Wort will do! In this workshop, Community Herbalist Ali Jopp will teach you how to make medicine from plants that you can find in and around Victoria. We’ll go over the components of a herbal first aid kit and learn about characteristics, harvest and uses of various medicinal plants, as well as how to make your own healing herbal concoctions. Each participant will leave with a salve, tincture, liniment and instructional zine! Location: The multipurpose room at the Fernwood Community Centre. The FCC is just around the corner from the Compost Education Centre, at 1240 Gladstone St. To reach the multipurpose room, head in the front doors and turn left. Visit our Eventbrite page to reserve your workshop space. Sign up for our mailing list to keep up to date on all our latest workshops and events!